Everything around you – from our top-notch clinical team to our high-tech equipment to our caring staff – is focused on you. Our goal is to keep you safe and comfortable during your short stay. 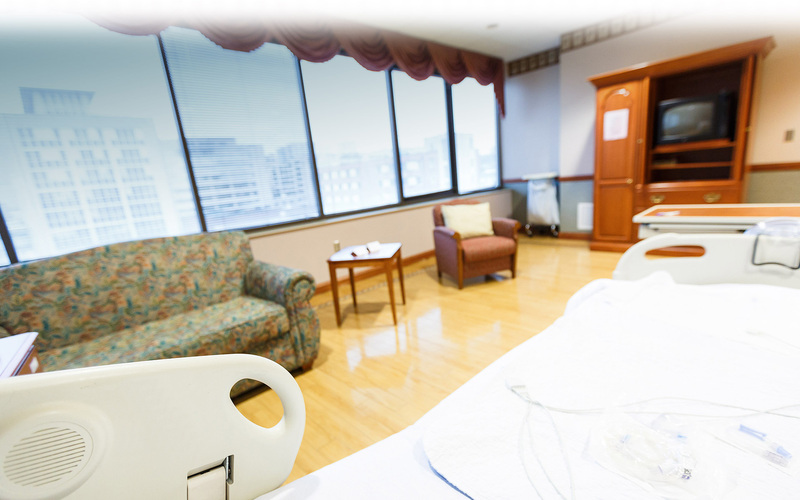 That’s why our inpatient rooms are spacious with hardwood floors – and we offer amenities such as complimentary parking upon arrival, wall-mounted flat-screen HD TVs, high-speed internet access and WiFi throughout the hospital. And in the spring of 2019, our patients and families will experience even more with our $3 million outpatient and waiting room expansion and inpatient room renovation. So, let the healing begin.